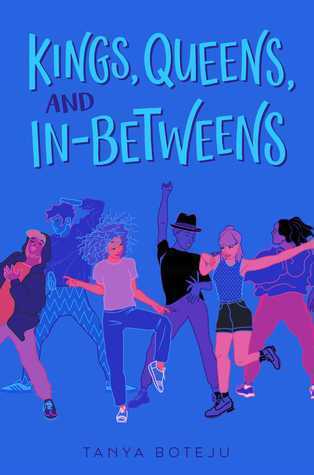 I am beyond psyched to have this month’s featured author on the site, because ICYMI, I am a pretty tremendous fangirl of Not Your Sidekick, and in case you’re not familiar with C.B. Lee, she’s a seriously kickass human. Not Your Sidekick actually first crossed my radar at the Romantic Times conference in 2016, where every Interlude Press author was also handing out swag for this title; it was clear she was an author they wanted to support! 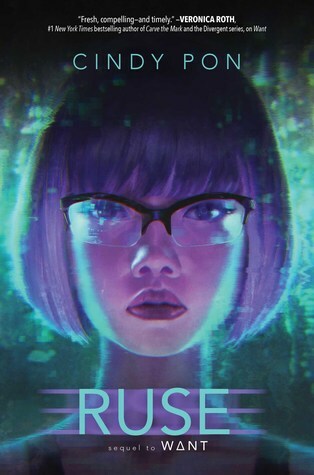 So of course, I had to check it out, and if you haven’t yet read it, please put this series on your to-read list: it’s so much fun, the romance is adorable, the characters and their friendship is great, and the representation is diverse and amazing. But enough of listening to me babble; please welcome C.B. Lee! It’s been so much fun seeing how much love and attention Not Your Sidekick has gotten! 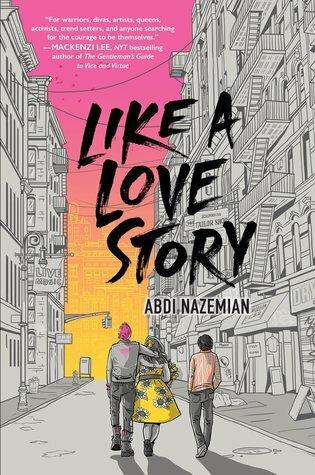 (See: Gay YA Book Club, WoC in Romance book club, Bisexual Book Awards, Lambda Awards…) What was the coolest part of your publication experience and what was your biggest surprise? I was so overwhelmed to the response to the book being announced! It was kind of incredible how the original cover reveal with the summary really took off—over the first weekend on Tumblr it hit over 5000+ notes and I was just like whoa! 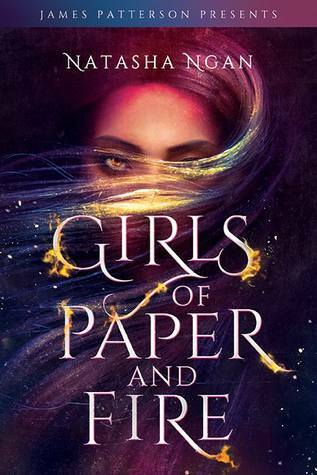 I’d looked through the tags and it was really such a response: people were excited Jess was Asian American, people were excited that the romance was between two girls, and I was just stunned and just so happy and grateful. Publishing Not Your Sidekick has been an amazing journey. I think the readers are the best part of the experience, from meeting readers at book festivals and conventions to readers reaching out to me personally to talk about how much the story resonated with them, whether it was Jess feeling like not quite one or the other in terms of being Chinese-Vietnamese American, to her being the middle child and being overshadowed by her siblings, to being bisexual, and the story in general. The biggest surprise was just seeing people respond to the novel! I had no idea it would become a thing, and I’m so happy people are enjoying it. 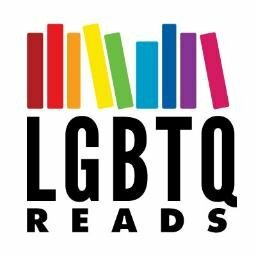 I was really honored to be nominated for the Lambda Literary Awards and the Bisexual Book Awards, too! I am so excited that the gang will be returning for a sequel called Not Your Villain. What can you tell us about it? It’s been so much fun to write in Bells’ perspective! Not Your Villain actually starts off a little before the timeline when you meet Jess in the first novel. I’m really excited to finally share what was going on during Not Your Sidekick when Bells kept disappearing on Jess and Emma. We’ll learn all about his superhero origins and more about the inner workings of the Heroes’ League of Heroes, and then we move forward with Bells and his friends as they start off on a mission to find the Resistance and deal with things that they think the adults aren’t prioritizing. 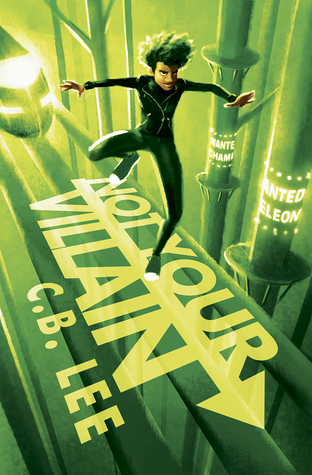 More info on Not Your Villain at my website! For those who are just finding you now via Not Your Sidekick, can you describe your previous novel, Seven Tears at High Tide, in five words? Selkies, magic, bisexuals, first love! You keep some great writing tips on your site. What’s been the best source of craft education for you, and what’s some of your favorite advice? I think there’s something to learn from everyone, and the Internet is such a great resource. As far as research goes in facts and worldbuilding, it makes it easy to search for anything and learn all about it, from how popular a word was in a historical era and to seasons in countries and anything and everything in between. As far as craft, I think writing is different for everyone, so writing tips will vary. What will work for some people won’t work for other people, and it’s easy to get disheartened if you see a piece of writing advice, especially if it’s not your style and doesn’t work for you and to see other people swear by it. But as far as any advice goes, I would say to read broadly because there are so many resources, and just pick and choose what works for you. I’ve reblogged and organized a number of different writing posts on my Tumblr, and have also written a few ideas as well, but I don’t think there’s an end-all-be-all of writing advice in terms of craft. This is really reassuring to me, about how your efforts efforts are not wasted. In writing a lot of work goes unseen: first drafts with huge chunks thrown out, paragraphs deleted, characters rebuilt from the ground up. Everything you do, whether it’s writing character bios or imagining them in alternate universes, or writing almost entire drafts one way and having to do it another way, it’s part of the learning process and just adds to your overall skill and ability as a writer. I think the message of hope is a persistent one I’ve seen across genres, and I think that’s so important. 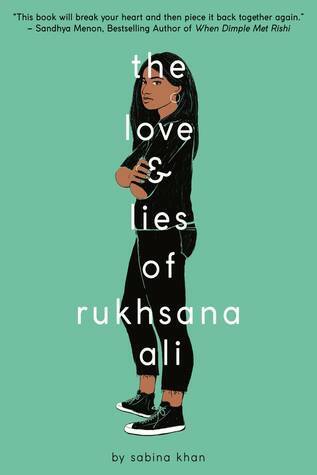 The fact that these novels exist and readers can identify with the characters and say I’m here, I’m seen and just have all kinds of stories is so powerful. And I love that I’m starting to see more and more people who want stories with happy endings, stories that are fluffy and cute, stories where the main conflict has nothing to do with their identity. I have so many favorites! 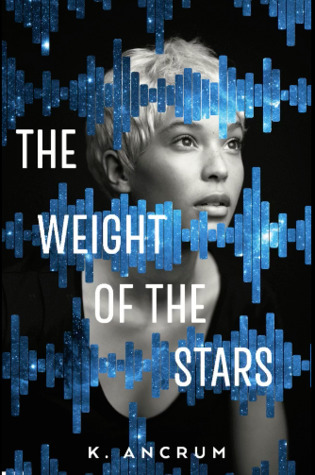 Malinda Lo and Benjamin Alire Saenz are two authors whose works I love, and as far as recent favorites, I really adored FT Luken’s The Rules and Regulations of Mediating Myths and Magic. 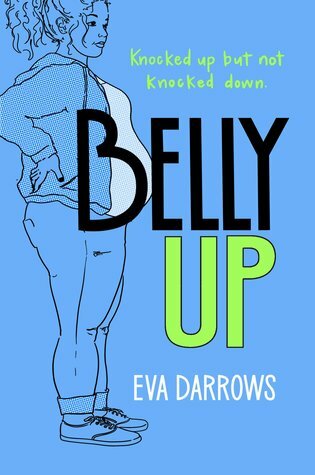 It’s a hilarious read and has a wonderful bisexual coming-out story as well as wonderfully complex and dynamic friendships and family relationships. 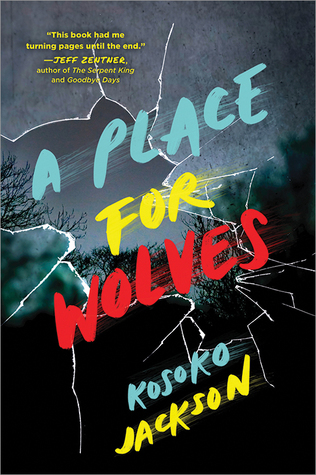 (There’s also werewolves and Bigfoot and the end of the world, but it’s wonderful. 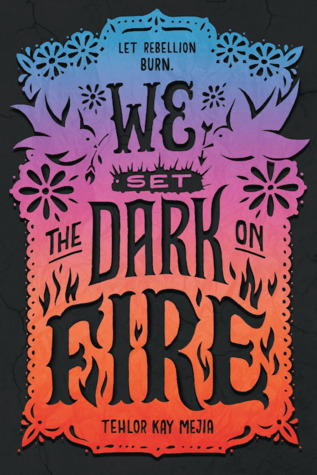 A few novels I’m looking forward to this fall include It’s Not Like It’s A Secret by Misa Sugiura, They Both Die At The End by Adam Silvera, That Inevitable Victorian Thing by EK Johnston, Fortitude Smashed by Taylor Brooke, and A Line in The Dark by Malinda Lo! What do you wear, listen to, read, and/or watch when you need to feel a little more like a superhero? I love movie soundtracks—Pacific Rim has to be my all time favorite, I always feel ready to take on aliens and get in a giant robot when I listen to it, although it’s usually my writing action soundtrack. Other soundtracks that make me feel like a hero: Wonder Woman, Star Wars, and Indiana Jones. I also really love my leather lace-up boots. I would definitely go hero-ing in them. You’ve got a lot of really beautiful representation in Not Your Sidekick, and I’m sure in Seven Tears at High Tide as well. What’s something it’s really important to you to show in your books? It’s really important to me to show characters from different marginalized communities have adventures and fall in love and just do all the things straight white characters do. Is your full name a total secret, or will we someday know the meaning behind “CB”? Any idea what’s up next after Not Your Villain? The next part of the adventure will be told from Emma’s perspective in Not Your Backup! I can’t say much other than the stakes will be raised! 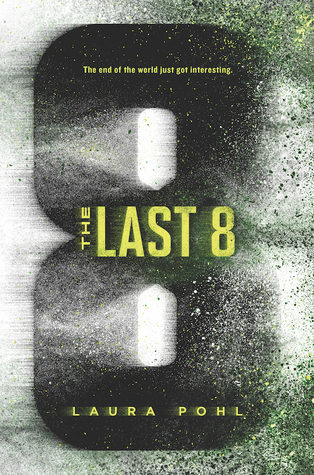 I’m also planning two short novellas within the universe, so look out for those! C.B. Lee is a bisexual Chinese-Vietnamese American writer who also works in outdoor education in Los Angeles for low-income youth. 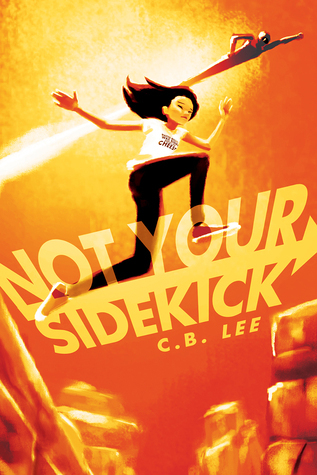 NOT YOUR SIDEKICK was a 2017 Lambda Literary Awards Finalist for Best In YA/Children’s Fiction and a 2017 Bisexual Book Awards Finalist in Speculative Fiction. 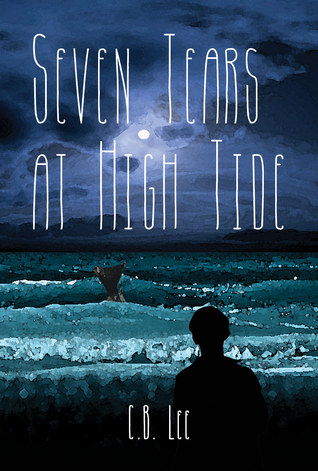 SEVEN TEARS AT HIGH TIDE is the recipient of a Rainbow Award for Best Bisexual Fantasy Romance and also was a finalist for the 2016 Bisexual Book Awards in the YA and Sci-Fi/ Speculative Fiction categories.